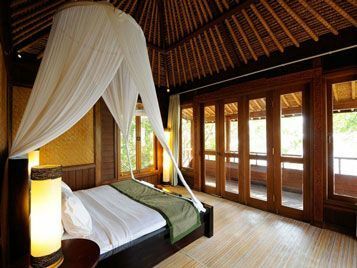 Uniquely offering the only eco friendly accommodation in the West Bali National Park, The Menjangan is the perfect place to access spectacular Indonesian bio diversity in stunning style. 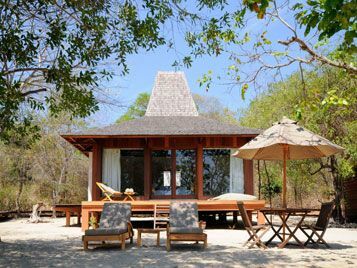 Featuring four different types of accommodation, The Menjangan offers privacy and tranquility to suit any couple or family drawn to the natural beauty of Bali. 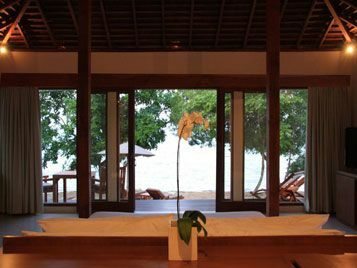 Spacious and well-appointed rooms and villas give you all the comforts of five-star resort facilities in an unspoiled and well-preserved natural environment. 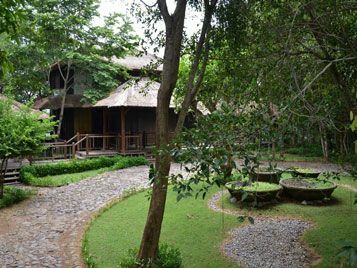 The Monsoon Lodge is a haven of tranquility surrounded by the wonders of nature. The rooms are set around an idyllic pool and Jacuzzi. 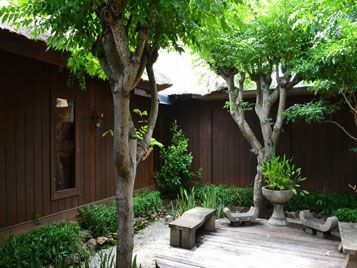 The lodge has been built in harmony with the environment so you may find you share the beautiful grounds with birds, deer and other wildlife. The lodge has 12 large deluxe rooms (50 sqm) and 2 suites (100 sqm), each of which is fully air-conditioned and has an en-suite bathroom. 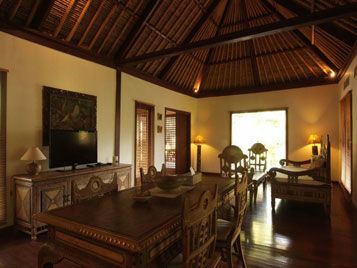 Beach Villas – At the resorts Sentigi Beach are romantic traditional “Joglo” style villas offering absolute beach-front. Walk roughly 10 paces from your villa and you are on our own beautiful and private Balinese beach. 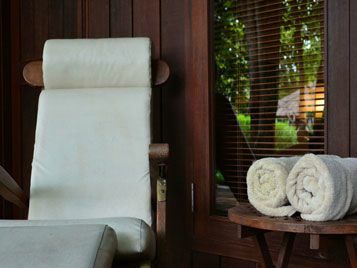 If you are so relaxed you cannot even manage that short walk, then chill out on the beach chairs provided on the villas outdoor courtyard or just flop into a bean-bag right on your wooden deck, or soak in the outdoor bath with the fragrances of a Balinese forest wafting in the air. Note: extra bed charges are inclusive of breakfast. 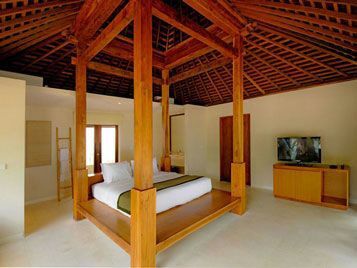 The Residence is the ultimate in Menjangan accommodation. It is a 1,000 sqm private estate with two double bedrooms and one twin bedroom all with en-suite bathrooms and private balconies overlooking the ocean. The views from the Residence are simply stunning. 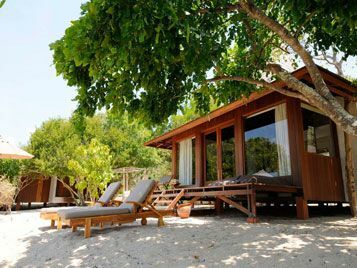 The Residence is perfect for couples traveling together, a family, a small group of friends and for those who demand absolute privacy because the estate can be isolated from the rest of the resort. 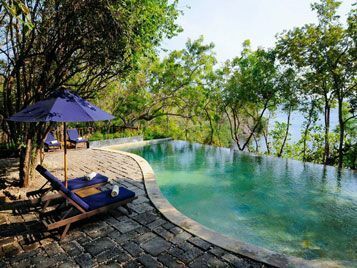 Guests can come together to relax in the common living room / outdoor area, and they have their own large pool shaded by the trees and perched right on the cliff-edge. 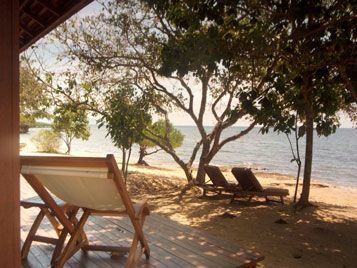 Contact us for a custom made dive package @ The Menjangan. That’s right, just tell us what you want and we will create it for you! 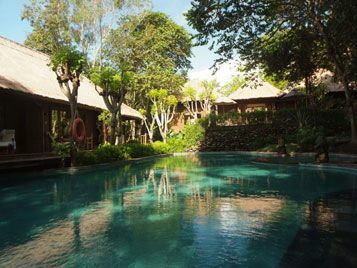 Please note – The Bali Barat National Park fees are not included in our prices – if you are staying within the resort, you need only pay these once; when you enter the resort. If you are staying outside of the resort, you will have to pay the National park fees every time you enter the park. 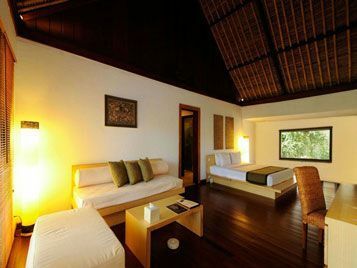 Currently the fees are IDR 200.000 per person for week days; and IDR 300.000 per person on weekends and public holidays. We can create custom dive packages for your stay at The Menjangan - combine a PADI Course, Dive Trip or Snorkeling trip with your accommodation today. 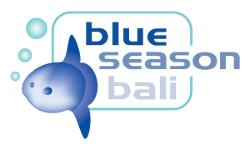 We can even arrange your transfers to and from South Bali - just let us know what you would like included in your package or have a look at our dive and stay packages here! What's next? Check out the great dive and stay packages available in Menjangan.